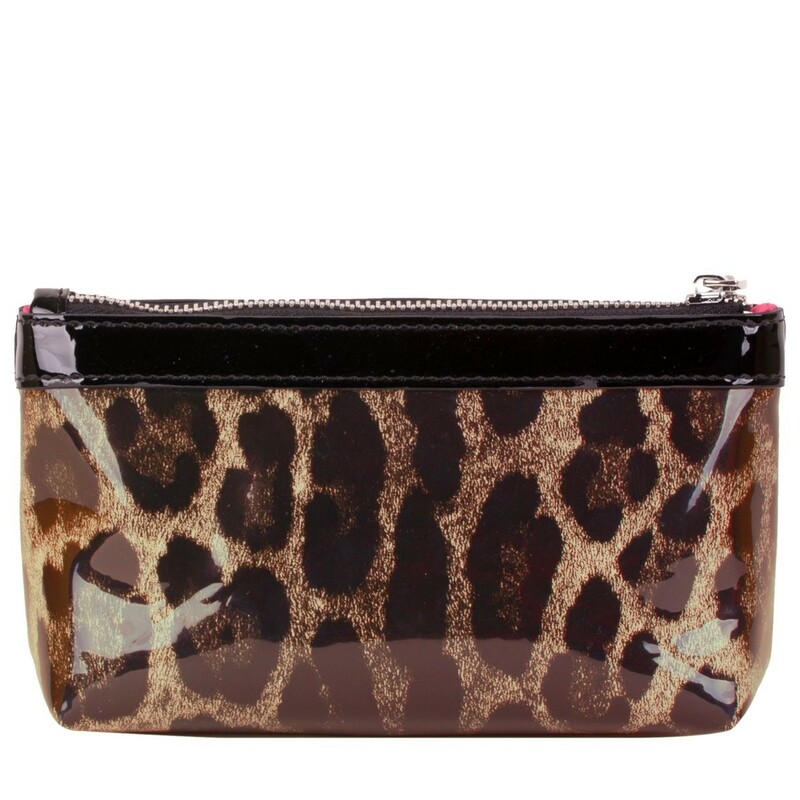 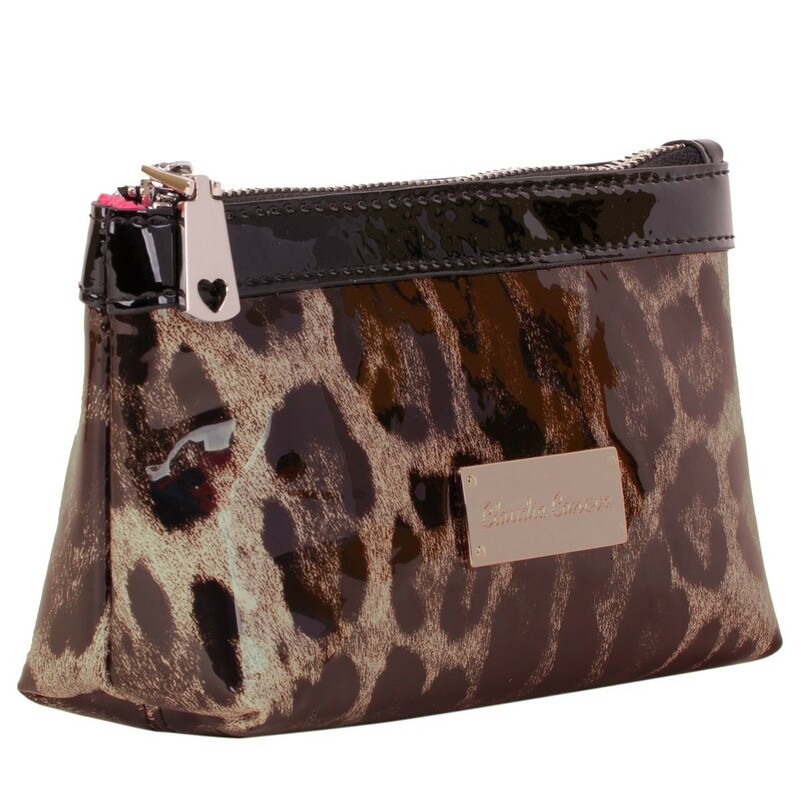 Stylish cosmetic bag in leopard patent PU with black patent PU trim. 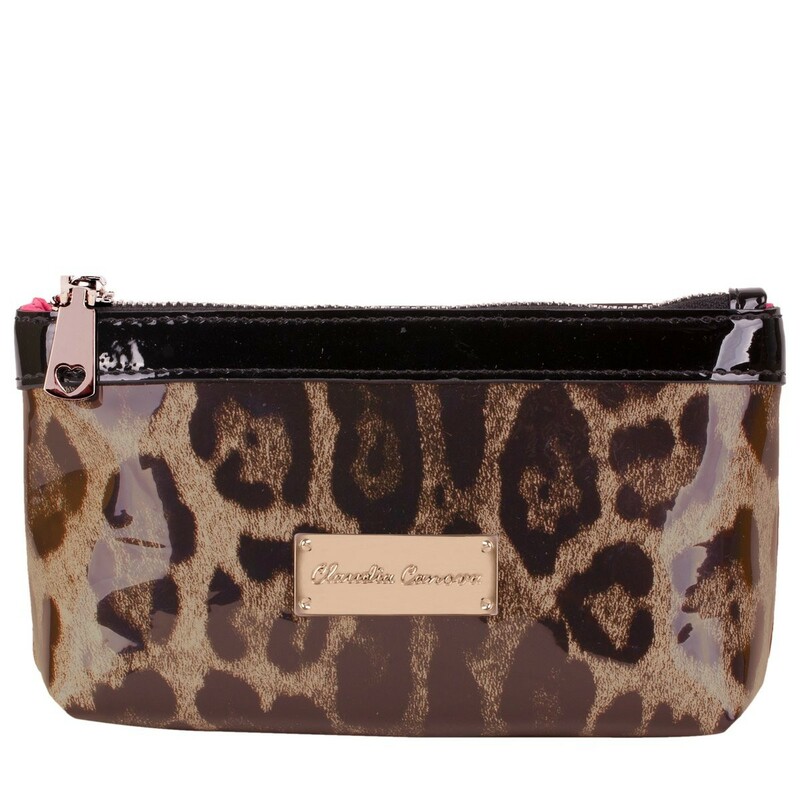 Finished with a branded plate on the front. 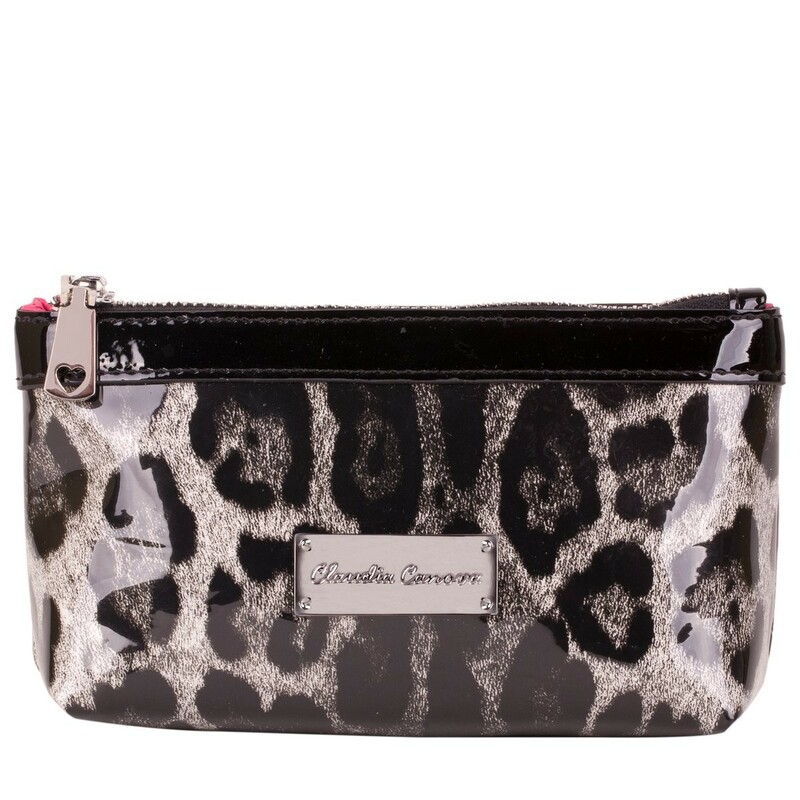 Inside has a pop of colour with our signature branded lining and a zip pocket.